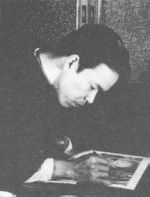 1956, Suma founded ''[[Uramado]]'' magazine, published through [[Kubo Shoten]]<ref name="eshi">Nureki, Chimuo. The Artists of Kitan Club. Tokyo: Kawade Shobo Shinsha, 2004. Print.</ref>.